Miami, FL – A city of Miami police sergeant is in hot water after a video surfaced of him tossing Jewish religious scripture — and using some choice words to describe it. The video shows Roberto Destephan tossing the Tanakh, or the Hebrew Bible, and a wooden box engraved with the Star of David into a truck bed. Attorneys John and Andrea Cunill discovered the controversial video. 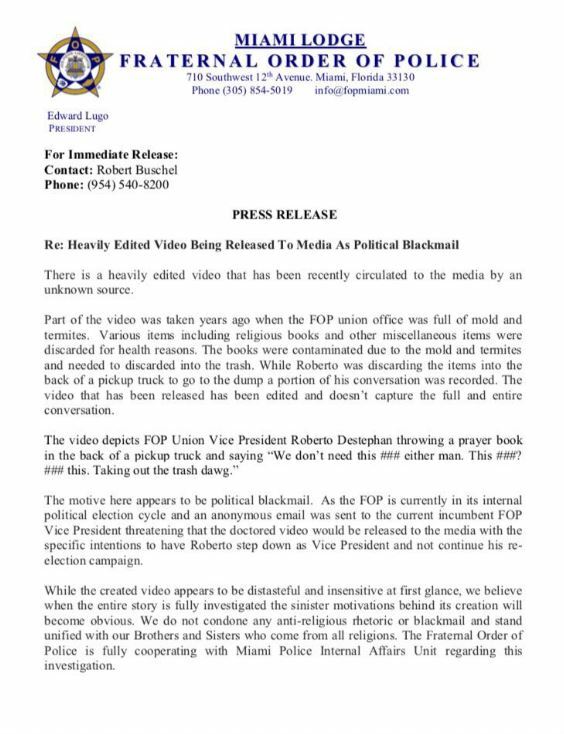 The Miami Fraternal Order of Police released a statement saying the “doctored video” was released as political “blackmail” to stop Destephan’s re-election campaign. Roberto Destephan was suspended Friday .